Harry Potter and the Deathly Hallows director David Yates who was at the helm of the original stylish Oscar winning Fantastic Beasts film returns to direct the highly anticipated sequel Fantastic Beasts 2: The Crimes of Grindelwald featuring a star studded cast including Oscar winner Eddie Redmayne who reprises his role of the magical creature loving Newt Scamander and Oscar nominee Jude Law as a young and decidedly flamboyant Dumbledore, who makes an audacious cameo. 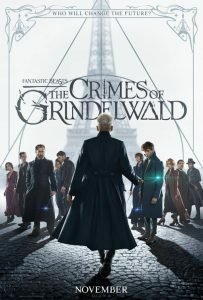 This time Scamander has to contend with the malignant and mysterious wizard Grindelwald wonderfully played by Oscar nominee Johnny Depp who is determined to upset the delicate balance between the real and magical realms. 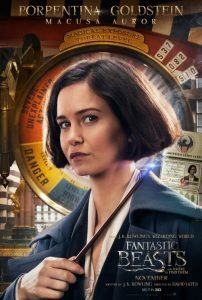 Katherine Waterston returns as the elusive Tina Goldstein as does Dan Fogler as Scamander’s faithful American sidekick Jacob Kowalski. 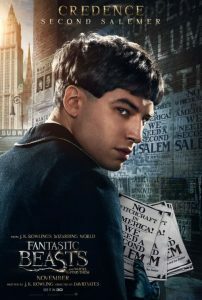 Other regulars include Zoe Kravitz as Leta Lestrange and Alison Sodol as Queenie Goldstein along with Ezra Miller as the troubled Credence Barebone who is on a quest to discover his parentage. Whilst the plot of The Crimes of Grindelwald is as mystifying as Credence’s real identity, Fantastic Beasts 2 is visually impressive particularly in the second half of the film. 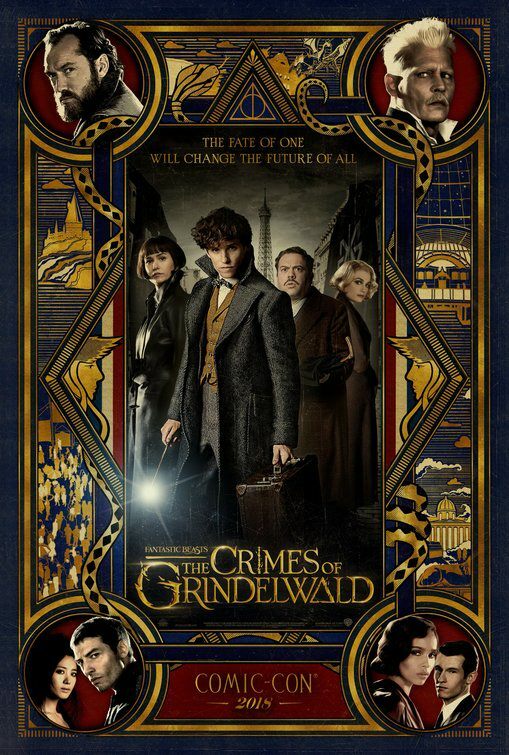 Some of the dialogue in the film was stilted, yet Fantastic Beasts like any Franchise film speaks mainly to its fans and those that have religiously followed all the Harry Potter films will be equally satisfied with this exotic sequel set mainly in Paris. The French Ministry of Magic sequence is spectacular and a cinematic highlight. Whether Fantastic Beasts 2 will garner any attention in the 2019 awards season remains to be seen, although the production design is beautiful, I did find the first half of the film particularly dim or perhaps it was my limited understanding of this convoluted plot which made numerous references to the original Harry Potter films. For purely technical reasons, Fantastic Beasts: The Crimes of Grindelwald gets a film rating of 7.5 out of 10. It’s a magical and visually dazzling fantasy film hinting at many sequels in the works. Highly recommending viewing for serious J. K. Rowling fans and those that loved the first Fantastic Beasts. J.K. Rowling made an absolute fortune out of the Harry Potter novels and now to capitalize on her continued success she attempts to write the screenplay for a spinoff series Fantastic Beasts and Where to Find Them. The Legend of Tarzan director David Yates is pulled in to coerce all the elements of an ultimately bland screenplay into a presentable and visually impressive fantasy film. Yates who helmed the last three Harry Potter films, does an impressive job with Fantastic Beasts even though Oscar winner Eddie Redmayne (The Theory of Everything) maintains a continued perplexed expression on his face throughout this film as he plays the British wizard Newt Scamander who arrives in New York with a suitcase brimming with diabolically strange creatures. Redmayne is joined by British actresses Katherine Waterston (Steve Jobs, Inherent Vice) as Tina Goldstein and Oscar nominee Samantha Morton (Minority Report, In America) as the cruel Mary Lou along with Colin Farrell as an American wizard Graves who is chief enforcer of Macusa or the Magical Congress of the United States of America. 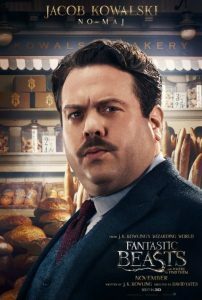 Dan Fogler plays the hapless wannabe baker Jacob Kowalski who effectively serves as a sidekick character to the infinitely cooler Newt Scamander. 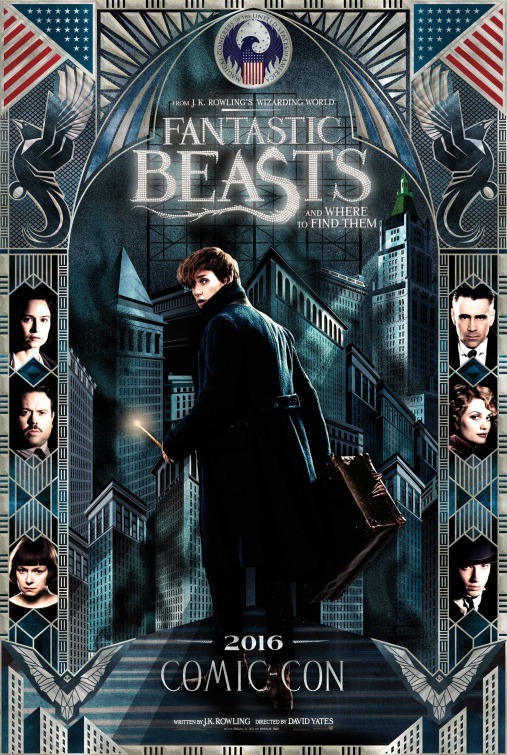 Whilst Fantastic Beasts and Where to Find Them is visually impressive and for once the filmmakers make effective use of the 3-D format and all the Beasts are both alluring and comical, the film itself suffers from a badly written script and an overdose of visual effects and a lack of critical editing. Redmayne is far better in brilliant period films like My Week with Marilyn and The Theory of Everything and comes across throughout Fantastic Beasts with the impression of how the hell did I land up in a Harry Potter spin off franchise set in New York? Unfortunately the rest of the characters do not get sufficient back story including the talented Samantha Morton’s portrayal of a cruel orphanage mistress Mary Lou who constantly punishes the repressive Credence Barebone played by Ezra Miller (The Perks of Being a Wallflower, Suicide Squad). 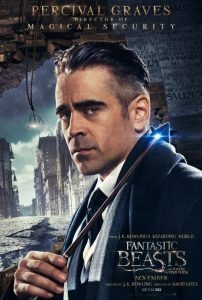 Colin Farrell (Total Recall, Crazy Heart) is suitably bland as Percival Graves but that is perhaps due to Rowling’s script not giving him much to work with. 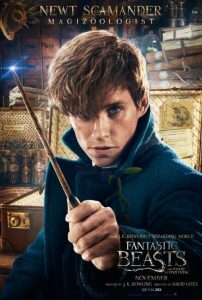 Whilst there is an inherent fan base, Fantastic Beasts and Where to Find Them is not as dazzling as one expects although the visual effects are superb. Let’s hope the Fantastic Beasts sequels which Warner Bros intends making employs a better scriptwriter. No offense to Rowling but she does not possess a talent for snappy dialogue. Then again who needs brilliant dialogue when the audience is constantly overwhelmed by magical creatures roaming 1920’s Manhattan?